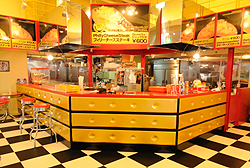 The restaurant is American diner style. Our specialty is Philly Cheesesteak, born on the American East Coast. You’ll be blown away with the size and price! 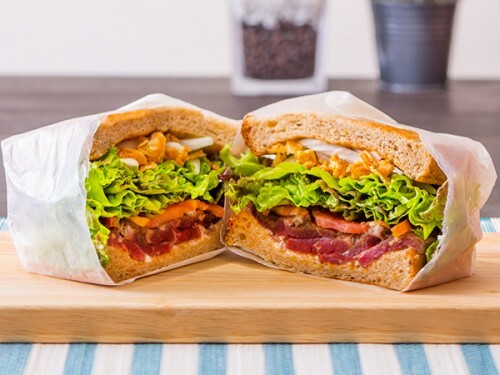 Opening a sandwich and chicken shop “RICHLY” on June 25, 2016. 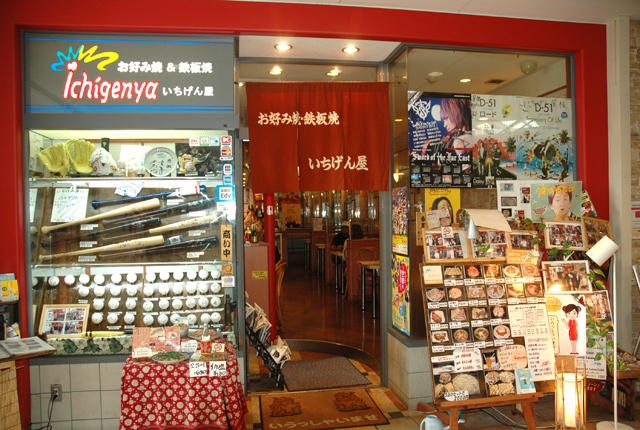 Ichigenya is originally from Osaka, which is the home of teppan-yaki and okonomi-yaki. The Osaka-native owner hand-picks the ingredients and the originally blended sauce is shipped all the way from Osaka! You can also enjoy kimchi from Tsuruhashi, Osaka, and bonito from Niigata. 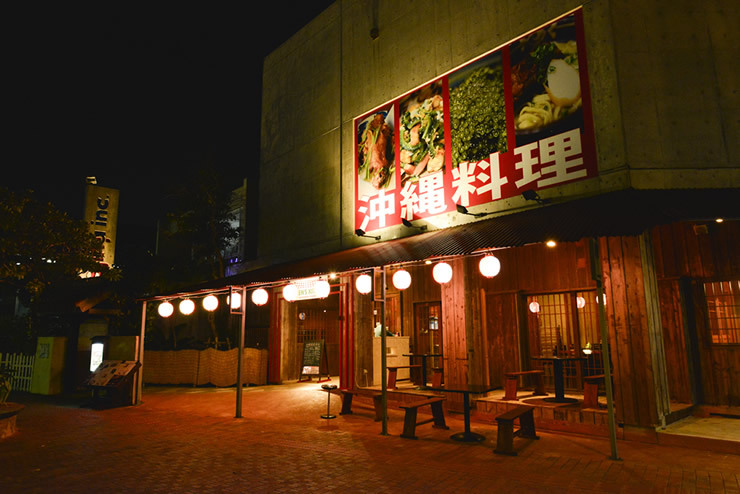 There are also monjya-yaki, which is popular with women, dishes for two, and family set menus you can share with 4-5 people, so there are a variety of dishes to choose from. 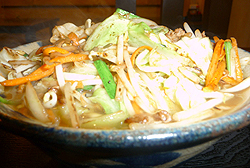 Our dishes such as Okinawan soba and chanpuru dishes are loved by tourists, foreigners, and local Okinawans and many of our customers are regulars. 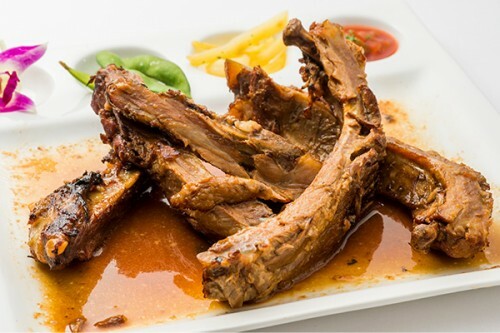 Barbequed ribs are one of the most popular dishes and continue to be everyone’s favorite meal in America. Capricciosa means “capricious” in Italian. 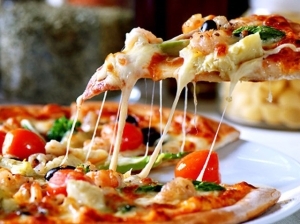 Italian food is best enjoyed with friends and family. 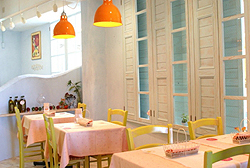 “Capricciosa” is an authentic Italian trattoria where people gather in Southern Italy. Cafe & Bar OH YEAH! 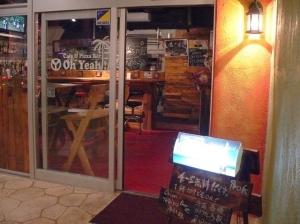 “Oh Yeah!” is a cafe/bar where you can sip on coffee or enjoy your favorite alcoholic drink while looking at the beautiful ocean. 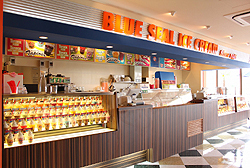 Blue Seal Ice Cream – born in America and raised in Okinawa. 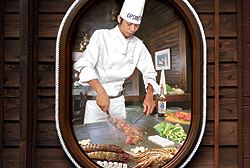 You can enjoy authentic Thai food prepared by Thailand’s finest chefs using ingredients imported directly from Thailand. 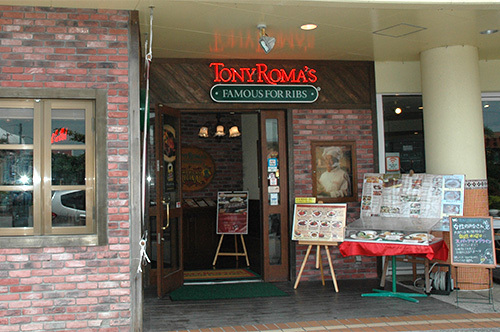 The restaurant was the first to win the Prime Minster of Thailand Award in Japan and has branch restaurants at Narita Airport. 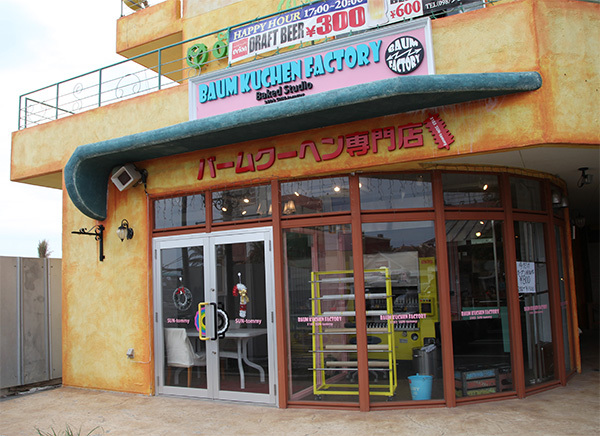 The restaurant is located right under the Ferris wheel in Carnival Park, Mihama and has a cheerful and relaxed atmosphere. 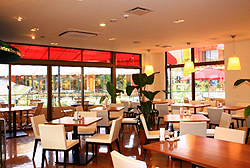 You can experience and enjoy the interior design and service, and of course the food with that unique “Land of Smiles” spirit and atmosphere. 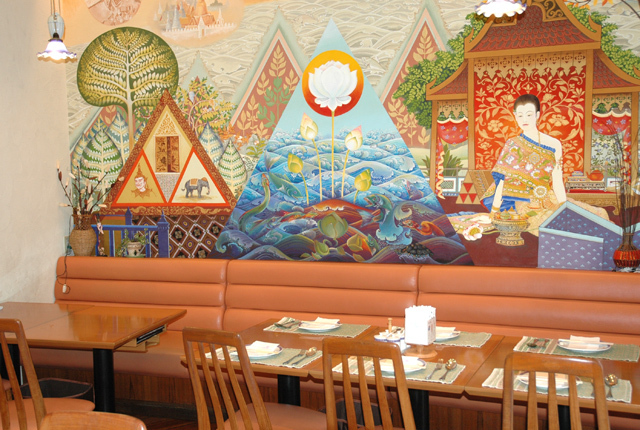 A popular lunch menu is the “Jai Thai Special Set” which comes with 6 kinds of assorted food…. 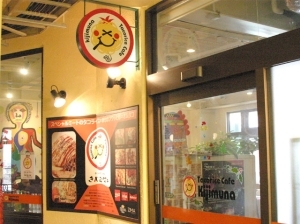 Our concept is to become an Okinawan noodle shop that caters to every customer and to be loved by everyone. 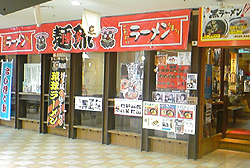 Hakata Men-Ryu, Mihama Shop marks its 5th anniversary. 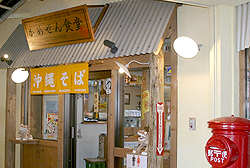 The tonkotsu (pork) based ramen shop is managed by a young manager who first started working at the shop when he was 19, then became manager when he was 20. 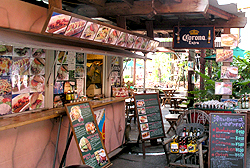 Chatan Rib & must try Frozen drinks!! 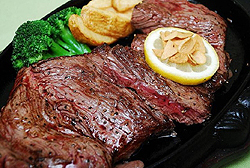 Chatan Rib, made from 100% domestic pork & Chatan ingredients, usually served 450g for 1,800 yen. 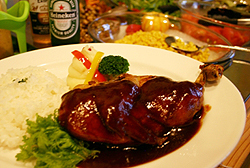 It is recommended half order for 980 yen per person. recommended drink is our special Frozen Kirin Ichiban Shibori, which is very difficult to manage and needs lot of skill to make. Therefore, if you find one, give it a try !!! Also Goya& Banana Special Frozen drink is good to try. You won’t realize how delicious the Goya taste !! 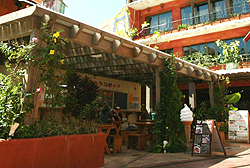 There are terrace and inside seating of your choice. Authentic Indian restaurant run by an Indian owner. Our specialty is Tandoori Chicken Wrapped with Naan. 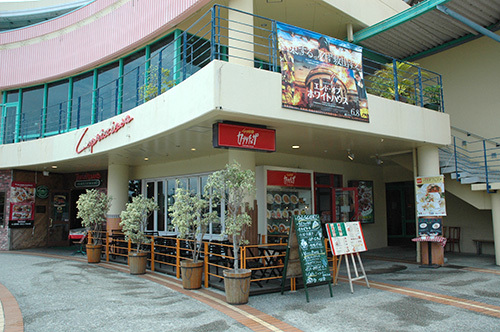 The Curry Set menus are reasonably priced and very popular, especially the Exotic Mango Chicken. 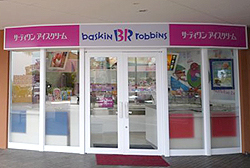 The world’s biggest ice cream shop, has 31 seasonal flavors lined up for you! You’re sure to find that flavor and taste you are looking for!! 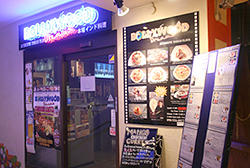 Bollywood Jewel is an award-winning restaurant of the famous yearly C-1 Chatan Gourmet Battle. It is where the flavors and spices of India come to life. 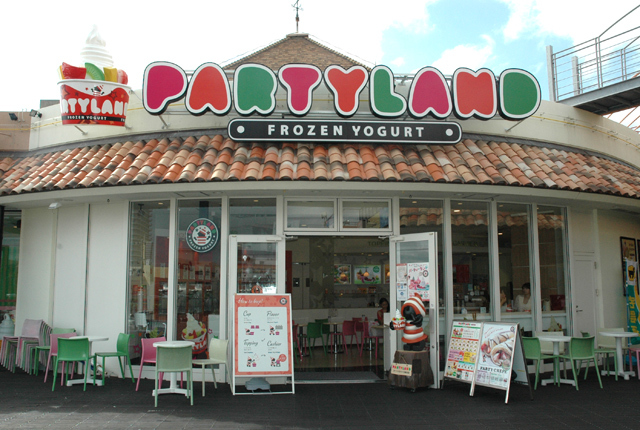 The only self-serving style frozen yogurt shop in JapanThere are 16 kinds of fat-free and low calorie flavors and 30 different toppings like fresh fruits you can choose from to make a delicious and healthy frozen yogurt of your dreams!Party Land is a shop you would want to visit every day and enjoy the happiest moments of your life! 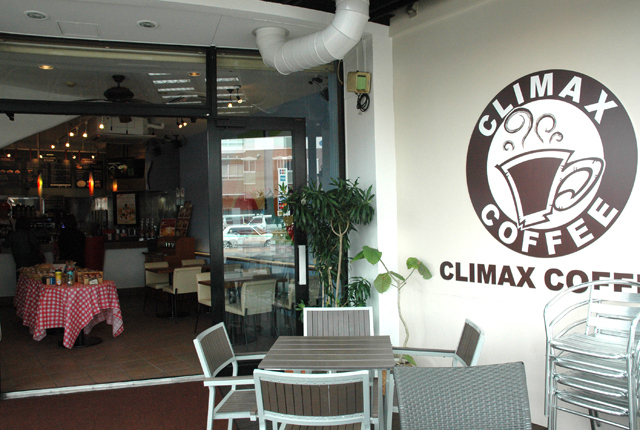 CLIMAX COFFEE is an Okinawan born coffee shop. We serve great coffee using our finest espresso machines from Italy to extract the great taste and flavor. We also have a variety of original drinks. 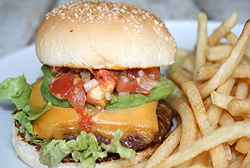 A popular American style hamburger shop! 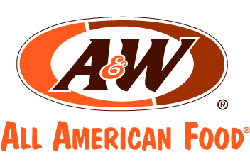 We recommend root beers with free refills and the American style Mozza Burger! 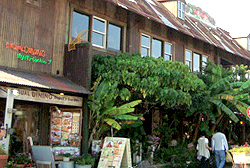 We are a small smoothie shop facing the ocean on the first floor. You can enjoy the great sunset view which is perfect for friends and couples. 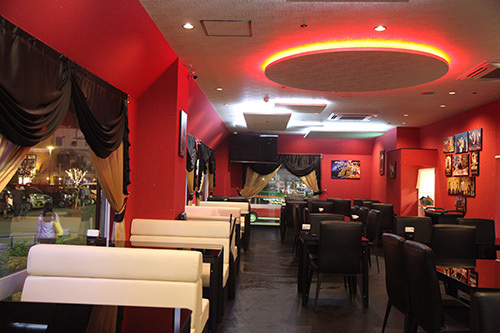 Soothing music, a space with a warm atmosphere ... and delicious food that is gentle to your body! 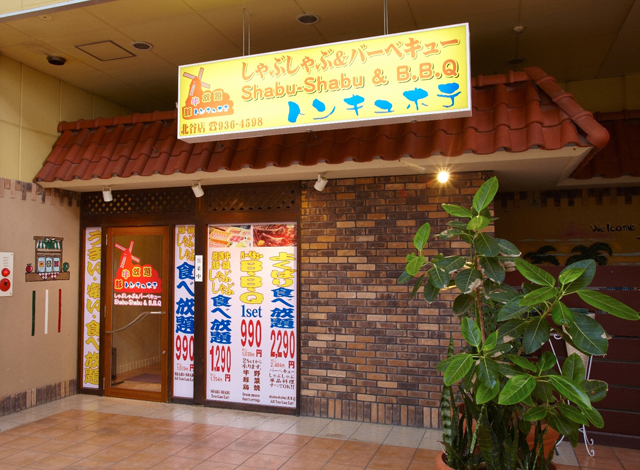 You can enjoy Shabu Shabu starting from 990 yen! !There’s an all-you-can-eat pork and chicken course at an amazingly low price, as well as an all-you-can-eat pork, chicken, beef, Japanese beef, offal, vegetables, and rice course. 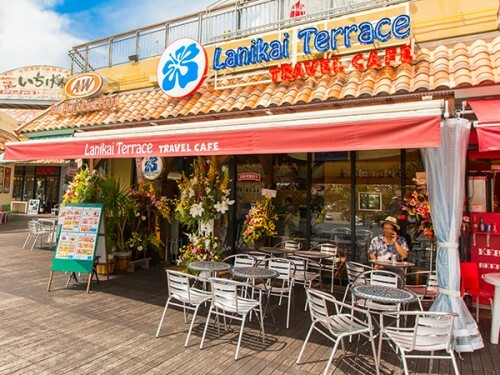 Lanikai Terrace by Travel cafe is a cafe and bar in the motif of Lanikai Beach, spectacular beach representing Hawaii Oahu.The Lanikai it means the sea of heaven in Hawaiian.Please enjoy a meal in the space which can feel the atmosphere of open and beautiful Lanikai. Toy Kitchen is an open terrace parlor inside Depot Island. Take a breath of relief while you’re shopping and try our delicious food and desserts. 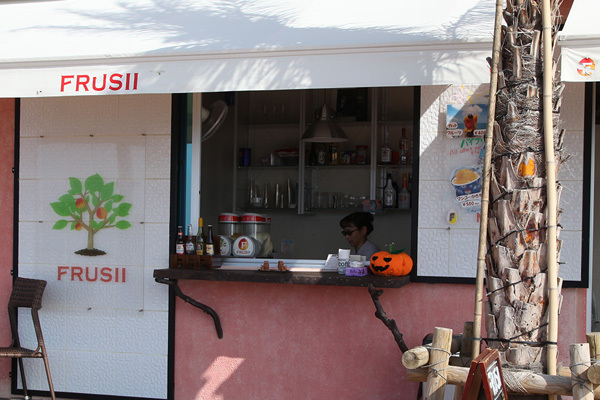 . .
We are famous for our reasonable prices, the freshness and a wide selection of fish. Inexpensive and tasty sushi, that what we’re all about. 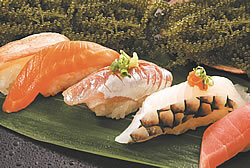 We also have seasonal Okinawan fish available. 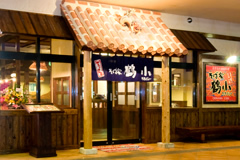 The interior is specifically designed to express Okinawan food and relaxation. 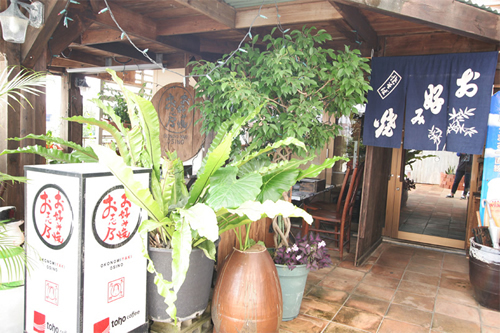 You can enjoy taro yams from Ooyama, island vegetables, and a wide selection of Awamori in private rooms. Steak, lobster, chicken, and hamburgers ... all very delicious and provided in large servings!